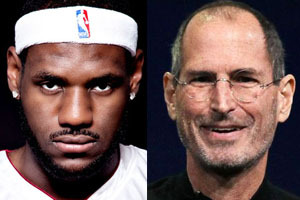 Free Agent In Business: Are You LeBron James Or Steve Jobs? LeBron James is now officially a free agent. He is seeking the Maximum allowable salary in the NBA which would be roughly $20 Million for the coming year. Under the NBA’s complicated Cap salary system, there are only 7 teams that could pay LeBron the $20 Million max salary next year. The Heat, Dallas Mavericks, Los Angeles Lakers, Phoenix Suns, Utah Jazz, Philadelphia 76ers and Orlando Magic. But shouldn’t LeBron be thinking about taking some of his future compensation in Equity rather than just pure salary? The Value of the Miami Heat NBA franchise as of January 2014 was $770 Million. LeBron James is set to make $20 Million or so next year for the Heat. But what if LeBron owned 10% of the Franchise – that would be worth nearly $80 Million. Think about the great Steve Jobs of Apple. Steve Jobs had a major impact on Apple. But no more so than LeBron James has had on the Miami Heat. And yet, James will benefit far less from his relationship with the Miami Heat than Steve Jobs did with Apple. Steve Jobs earned only $1 per year in SALARY FOR APPLE. But his equity became worth over $2 Billion dollars. Jobs also had shares in Disney Corporation that actually were worth twice as much as his Apple stock – over $4 Billion dollars – and he received no salary from Disney. Here is an astonishing stat: LeBron James will make far more for his equity ownership in Beats by Dre than he has made in salary the last three years from the Heat. James made $30 million when Dr. Dre sold Beats to Apple. In the technology industry, the people I know that have made it big DID NOT MAKE IT BASED ON SALARY. Rather, they took early stock in a company (and admittedly took a bit of risk at the same time) but when the company engaged in an Initial Public Offering or had a liquidity event based on a sale, the value of their equity exceeded the value of their salaries by over 100 times. Think about the on-going sale right now of the LA Clippers. Former Microsoft CEO Steve Ballmer, is buying the NBA Clipper Franchise for over $2 Billion dollars. A company’s value can increase quickly. In January of 2014, believe it or not, the value of the LA Clippers was less than the value of the Utah Jazz. According to Forbes, the Utah Jazz was the 17th most valuable franchise in the NBA with a worth of $430 Million v. the LA Clippers at slightly less than that. But then came the Donald Sterling debacle and Steve Ballmer came in and bid over $2 Billion for the franchise. What if Blake Griffin received a piece of that action? I would argue that his worth to the Clippers is worth at least 5% conservatively to the Franchise. That would make him worth over $100 Million dollars. What did Blake make in salary last year? It was under $8 Million bucks. Apple’s stock market value under Jobs leadership went from $10 Billion to $400 Billion. And because he took equity rather than salary, he made Billions more than if he would have taken, say, $20 Million in annual salary like LeBron will be doing. If James took a mere $10 Million in salary and took the rest in stock in the NBA and or the Heat directly, he could make as much as $100 Million. Now, I understand that the concept of players’ taking equity would probably be met with resistance from some of the owners- at least initially. But the NBA should be taking a longer term view of all of this. One sports agent, Steve Stoute, has encouraged just such an arrangement. Stoute is the founder and chief executive of Translation Consultation and Brand Imaging. Stoute worked closely with entertainers and athletes, including Jay-Z and LeBron James, to help Fortune 500 corporations extend the companies’ marketing reach. He thinks that players — like many star actors — should have been negotiating for equity stakes a long time ago. For example, Sandra Bullock took far less money up front for her hit movie ‘The Blind Side’ but received a huge piece of equity. Now these situations don’t change over night but I would argue LeBron would be better off taking a chapter from the Steve Jobs’ book of wealth management and consider a big equity piece in his upcoming negotiation, rather than just settling for a mere $20 Million in pure salary. What do you think? Contrasting points of view are welcome. I’d love to hear your thoughts in the comments section below. If the teams start giving equity to players how many players over the years would they be able to offer equity without diluting the franchise owners equity to an unacceptable level. Would there be contention among the team players if one had equity? Totally makes sense, but would undoubtedly would be difficult to get through CBA negotiations, and would give big market teams a further advantage in signing best players. On the other hand, if equity were part of the deal, it would encourage players to stay. Imagine if LeBron had received 10% of Cavs ownership when he signed. I would guess he’d still be in Cleveland. On the other other hand, unless there were a mechanism for redeeming players’ ownership interests on trades or free agent signings, there would be huge conflict of interest problems. Another application of this is professional corporations. The founders of LECG made a fortune when they took the company public. US rules of professional responsibility preclude non-lawyer ownership of law firms, and lawyers and possibly other professionals have no way to capitalize on years of labor for the benefit of the firm. 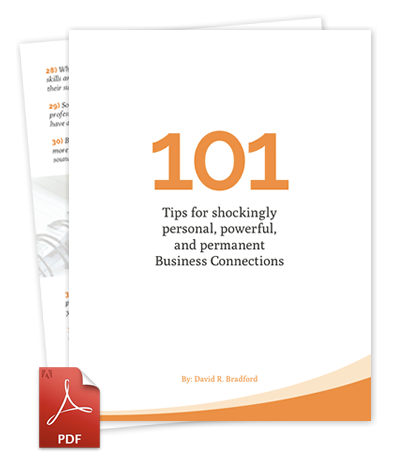 Further, it makes no sense to preclude lawyers from partnering with other professionals, e.g., accountants, when their combined efforts would add efficiency and value to clients. In other countries changes are afoot that would allow these arrangements. So far, the US lags behind. But it ought to happen, and should be easier than negotiating player equity with NBA owners. Great post Dave. Most of my net worth was created through equity positions in technology companies. However, it’s important to ensure that “air-tight” language for separation and cause are included in equity grants. There is an ebb and flow to employment relationships, and owners will always be tempted to cancel or “claw back” equity awards if they have any wiggle-room do do so in the contract. If LeBron had a sub-par year, he would run the risk of being paid well below his market rate if ownership cancelled his equity award. David, as you well know since you have been involved in several startups, the difficulty here lies in an exit strategy eventually for LeBron to cash out. The major downside of a player negotiating for a percentage of the franchise is at what time and how will that player be compensated and would it be for the initial evaluation when he signed the contract or the current evaluation possibly in a down market? Whether it’s an up or down market in the evaluation, don’t you think it would be difficult in eventually paying a star player a lump sum that could exceed a hundred million, unless it was amortized over 10 to 20 year period as a retirement package? If there were several player contracts, including franchise percentages, if the market was to have a major downturn could not this cause several of the minor markets to disappear in bankruptcy? In my opinion the NBA has an identity crisis at the moment because there is a great lack of star power that the fans, as a whole, can identify with! Yes there are a few superstars like LeBron & Durrant, who’s merchandise is selling across the geographical borders, but most of the other NBA players are only regional in their personal apparel sales. In 2008 I was in Beijing for the Olympics, I was amazed to find out that the NBA had sold licensed apparel products to the tune of almost 500 million dollars! A major factor at that time was that Yao Ming was still active and had a contract in the NBA. The NBA has been able to maintain it’s revenue-sharing too smaller markets because of the expansion in licensed product sells and TV revenue internationally. Without the global market being tapped by a media blitz, engineered by the former commissioner, I personally believe the NBA would be in a major downturn with the lack of star power who the fans will support domestically and globally! I always appreciate your insights and look forward to the bottle cap kids blog! I like the idea of compensating athletes with equity, but I’m not sure it would work out very well in the long term. Many times equity is only offered to the founders of a company and maybe the first couple employees. NBA teams are established entities and understand the implications of offering equity to a player. What happens if Lebron owns 10% of the Heat and then leaves for the Lakers where they give him 10% of the organization? Now he has an ownership stake in two teams. Conflict of interest? Also, what happens if they give a guy equity and he doesn’t play well? Right now the team can trade him and do other things to get his contract off the books. However, if the player has equity, then he could theoretically benefit off the player that he was replaced with if that player does well for the team. It’s all very complicated, but maybe there could be a mandatory equity buy-back clause in the agreement if the player doesn’t increase the value of the organization. I think this should’ve happened longtime ago. I just wonder if this is a slippery slope for owners losing control. I also wonder if it’s going to ruin the nba even more by having bigger market team not having to deal with the salary cap. Does this have an effect on that? Corporate America doesn’t have a salary cap. Very interesting post David. As someone who has earned a large part of his life-time income through equity, I can certain relate. Using equity to compensate players of course would take a lot of careful planning. I would take it that the stock would surely need to vest, in case the player is traded (which happens a lot). Or, perhaps is the player does leave, the owner has buyback rights at an agreed upon fair market value calculation. Also, where is the liquidity event for the player? Basketball franchises are not bought and sold very often. Perhaps a pro-rata share of net margin is part of the solution. Finally, I would think the owner would have to be very, very selective on who is considered for equity. At the end of the day, there’s a finite number of shares available without incurring too much dilution on the owners part. So, a few names that come to mind, Kareem Abdul Jabbar, Magic Johnson, Michael Jordan, Kobe Bryant, LeBron James. Thanks again for the simulating post. David, nice article, but at the current time the NBA doesn’t allow ownership of any of it franchise’s by active players or coaches. Jordan (Wizards) and Magic (Lakers) had to give up their equality ownership when Michael came out of retirement and Magic wanted to play in the All Star Game. IF A TEAM MAKES THE PLAYOFFS, THEY DONT GET TO SIGN A TOP TEN PLAYER FOR TWO YEARS.